Come find fun in the snow in Missoula this year with winter activities like skiing, snowboarding, snowmobiling and even snowshoeing. With all the possibilities, there is no reason to stay inside. Get out there and create your own warmth while having fun at the same time. Snow, snow, and more snow. Is there a better time of year? It is a rhetorical question, but something going through the minds of those living in Missoula who are "praying for snow." The ski lifts begin running and the sledding hills are filling up with kids and adults alike. Cross Country skiers will find an impressive number of nordic ski areas near Missoula to choose from. There are plenty of places to go ice fishing near Missoula, just be sure to bundle up! Ice Skating in Missoula is a great way to get out, take in the fresh air. 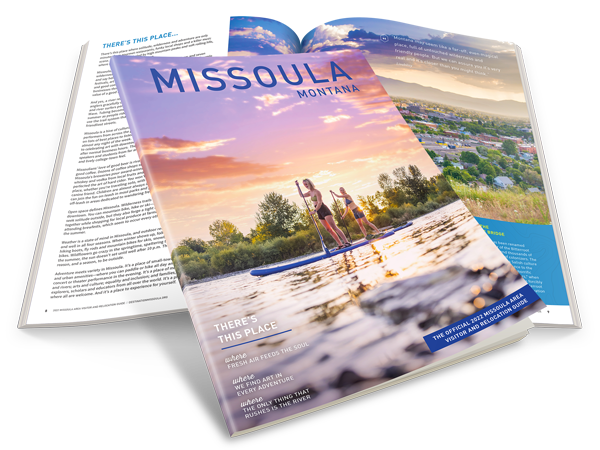 Missoula is at the epicenter of several great mountains for skiing and snowboarding. Sleigh rides in Missoula are a great way to enjoy winter. Snowflakes are falling on your head as you glide past the lights lining the streets and park paths. Snowmobiling in Missoula is fast, fun and addictive. We are here to help you get in on the action with these snowmobile rentals, guided trips and where to go. Snowshoeing in Missoula is an adventure. With the ability to set out in any direction and find unmistakable views and a winter wonderland, is what makes snowshoeing here great.